As a person ages, driving an automobile becomes more challenging and sometimes becomes more problematic when it comes to obeying traffic laws. In addition, whether it is the result of failing eye sight and/or hearing , the older driver many times is at a disadvantage in keeping himself and others safe on the street. These factors compared to the fact that driving is a form of independence for many older adults make it a societal dilemma for the driver, his family and our community. 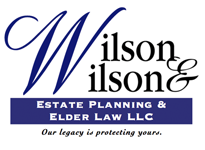 Therefore at Wilson & Wilson Estate Planning & Elder Law LLC Estate Planning and Elder Law, our attorneys will vehemently defend older adults with traffic tickets to assure that they keep their independence and continue driving. We also strongly advocate for the older adult should the Secretary of State determine that a hearing should be held to determine whether a license should be suspended or revoked. However, should it become clear that the older adult driver should no longer be driving, we can act as a facilitator with the family to make it clear that it is time to give up the keys. At the same time, we will suggest alternatives for the senior that will maintain his independence. If your loved one is confronted with traffic or drivers’ license issues, please call us at 708-482-7090.